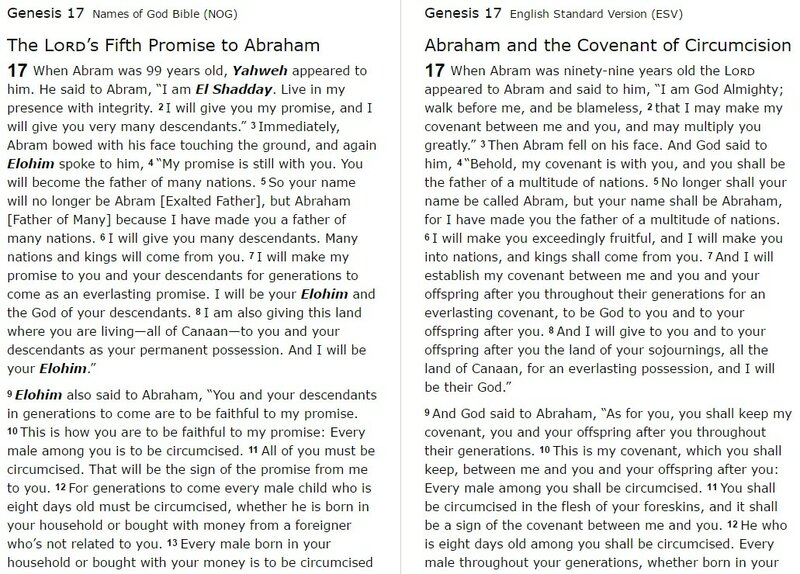 This early section of Genesis presents two important prophecies. The first is found in verse 3:15—it happened just after man’s fall into sin—it’s the promise of the Savior. The second happens in verse 18:18 where God, speaking of Abraham, says, “All the nations of the earth shall be blessed in him.” Both Bible verses point forward to Christ. Perhaps the most interesting character, and another area in Genesis that points forward to Christ, is Melchizedek, who makes a very short appearance of only three verses (Gen 14:18-20). Then, over a thousand years later, David mentions Melchizedek in Psalm 110:4. Another thousand years go by when Jesus quotes from David’s psalm in Matthew 22:44. The author of Hebrews gives us a more complex view of Melchizedek in chapter 7 where, once again, David’s psalm is quoted from (v. 17), and Jesus and Melchizedek are compared with each other and contrasted with the Levitical line of priests (after the order of Aaron). The Genesis - People’s Bible Commentary says, “Melchizedek is an Old Testament picture, or type, of Jesus, who also holds the double office of priest and king” (Jaske, 136). Valerius Herberger also refers to Melchizedek as a type of Jesus, but much less than Jesus: “You feed us,” he says, “the Holy Supper, not with mere bread and wine, like Melchizedek, but with Your own body and blood, for you are superior to Melchizedek and therefore act with far greater honor and nobility” (378). 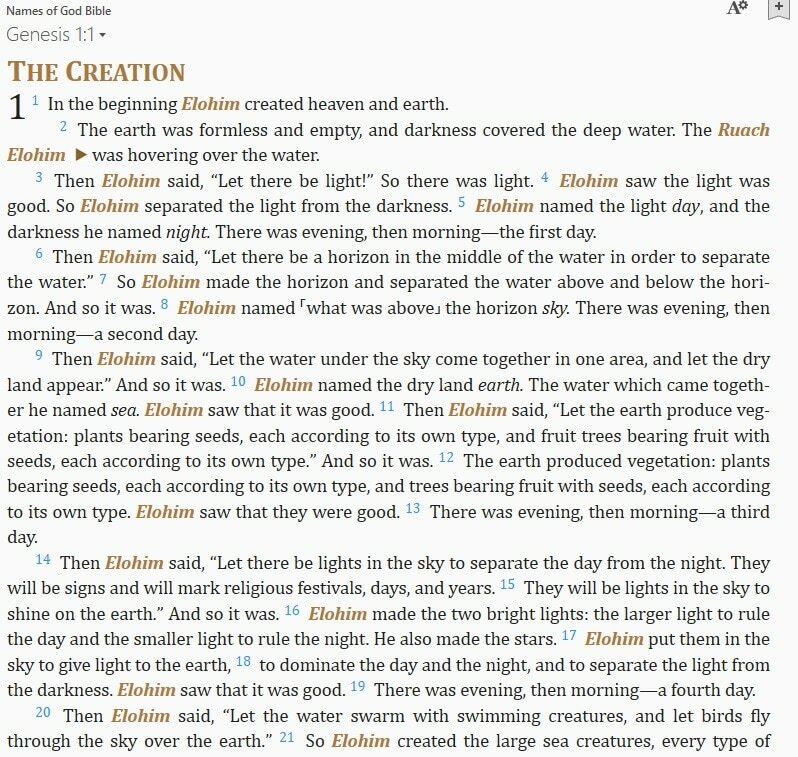 Returning to the theme that God is the main character in Genesis I turn to Ann Spangler's Names of God Bible which lists the key names of God in Genesis as Yahweh (Lord), El or Elohim (God), Ruach Elohim (the Spirit of God), El Elyon (God Most High), Adonay (Lord), El Shadday (God Almighty), El Olam (the Everlasting God), El Roi (the God Who Sees Me), and Yahweh Yireh (the Lord Will Provide). ​Although we see the English equivalent of many of God’s names and descriptions in the Bible, few of us spend any time at all considering the particular names or other facets of God and thereby fail to see something God chose to reveal about Himself to all of us so that we may have a closer and more meaningful relationship. So, as I read through the Bible this year I will also look at these particular aspects of God. 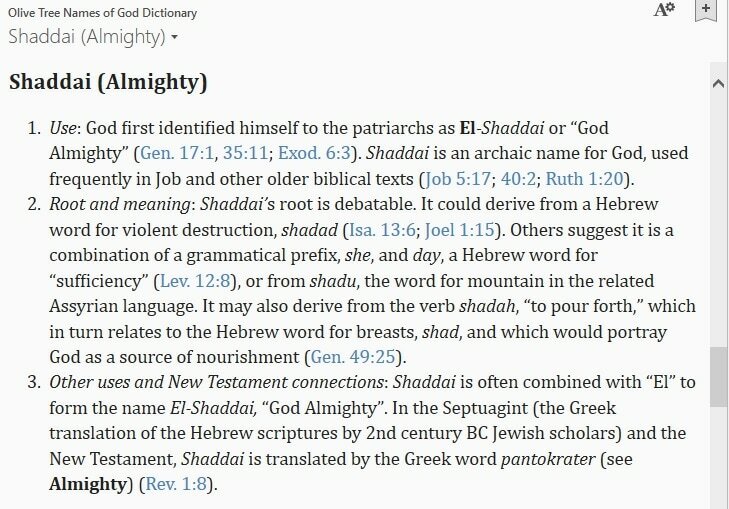 Below is a screenshot from the Olive Tree Names of God Dictionary to stir your interest in the names and discriptions of God. Herberger, Valerius, The Great Works of God Part One and Two: The Mysteries of Christ in The Book of Genesis, Chapter 1-15. Trans. Carver, Matthew. Concordia Publishing House, 2010. Spangler, Ann, Names Of God Bible. Baker (for the Olive Tree App).